This DIY Birthday crown is sure to make your birthday boy or girl feel like a King or Queen! This crown is very simple and can be embellished any way you like! It will for sure be a hit at birthday parties. It would even make a fun handmade birthday gift. If you have a little girl that wants something a bit more girly, try this birthday hat fit for a princess. Download and print out the crown template. Cut out. 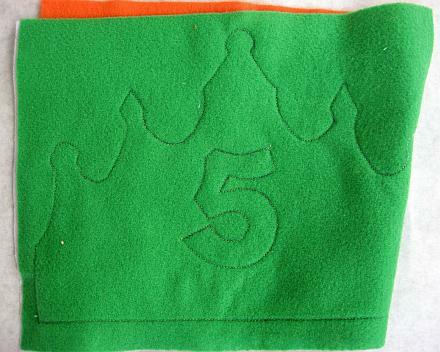 Iron interfacing to the back of the piece of felt you want for the outside color. I only had a lightweight interfacing—-it works, but I might try a medium weight next time. 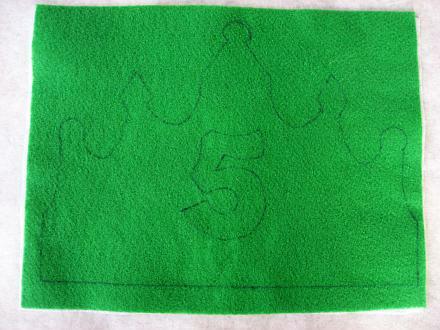 Trace crown onto the outside piece of felt with a disappearing fabric marker. This is the stitching line —do not cut out. Draw an outline of the birthday year in the center of the crown. You many use these printable numbers as a guide. If you would prefer a monogram use these letter templates. 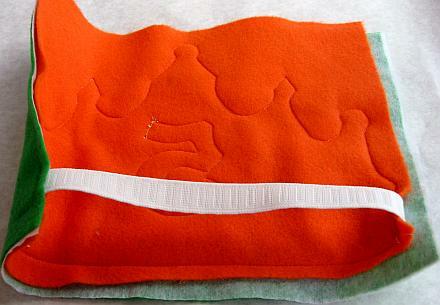 Place the two pieces of felt together and stitch all the way around the crown outline——-making sure to slip in a piece of 1″ wide elastic at the back on each edges of crown. My piece of elastic ended up being 10″ long and I placed 1″ in the seam on each side. Measure a child’s head to get the measurement you need. You could easily make a casing for the elastic if you want it to have a more finished look. Cut out the crown close to the stitching line, being careful not to clip the elastic. 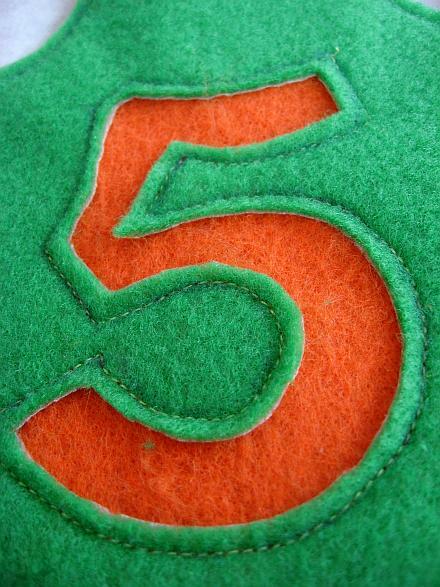 The number on the front is a reverse applique. Make a small slit in the top layer (be careful to only cut through the top layer) and then trim close to the stitching all the way around the inside of the number. Ta Da! How easy was that. Not much effort to make a little someone feel very special! If you like to crochet here is a crochet crown. 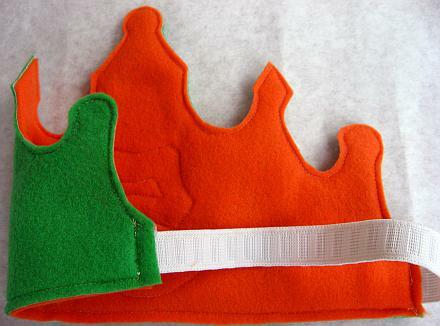 If yo don’t sew here is a printable crown template. Any ideas on number templates? I need a number 1 but would love the whole set so I can continue this every year! This is super cute! Great job. Thank you so much. 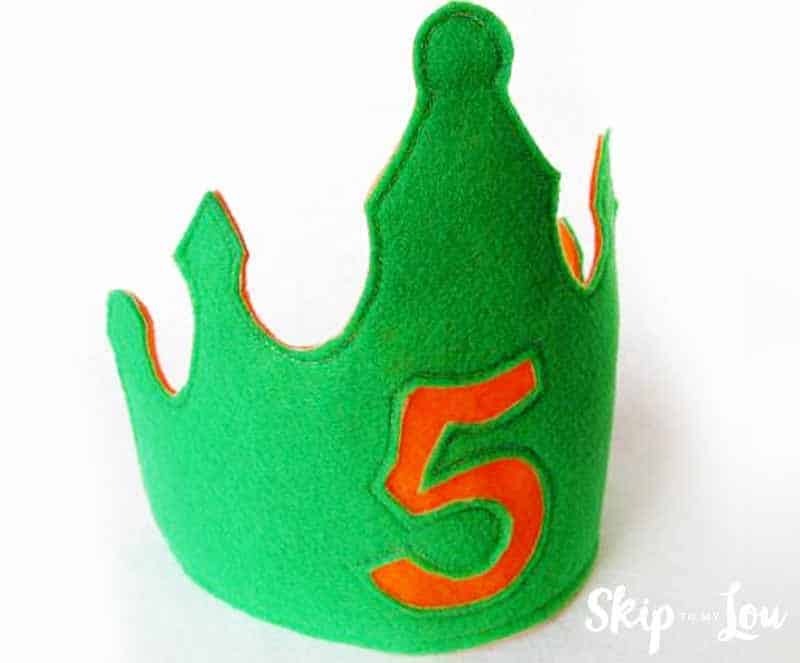 My son has to dress up as King David for his preschool and this will work perfectly. Thanks so much for your great idea and share the wonderful pattern with us. 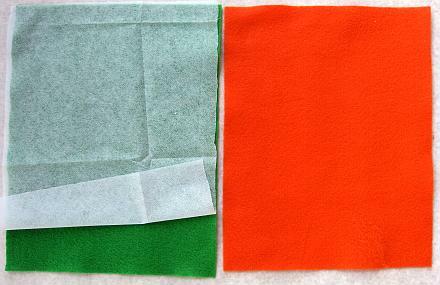 For my son's 5-year-old birthday, these two days I am preparing the wool felt, but I wonder the material quality of the "interfacing" you mentioned. Where can I buy it? Thanks for your big help. Have a lovely day! Thank you for the great pattern and directions!! I just finished making one for my youngest's birthday and have another in the works for the older one. Thank you! Thanks! Made this for my son's first birthday and it turned out great! Now the challenge will be to get him to actually wear it. I love the clever use of reverse applique on the number. I've never seen that idea before. I better get off my throne and get sewing. Just made this for my son this morning! It's Crazy Hat Day at his school. So adorable!!! He didn't want to wear a hat, but he loeved this so much, he wore it leaving. Thanks for the step by step!!! Thanks for the great tutorial and template. My birthday guy loved his. Anyone have any ideas if you have 4 kiddos and they all want to wear the crown but are all different ages?? I was just thinking about making one or two and they can share it but I don't know/can't think of what to put on the front? SO cute!!! Thank you for this great idea. the perfect headdress for my daughter's birthday. if not, please leave a comment. AWESOME And Just in Time!!! Thanks so much, this is great, I hope our model looks just as cute!!! I needed a crown birthday hat last weekend (it the only request from the BDay boy)! This would have been perfect! I will most certainly be making some of these. Possibly even today! Love it! That hat is adorable but your model is the cutest! Thanks for the how-to, I'll be linking. Super cute! I think it might be easy enough for even me to make! Fun crown! My youngest ones would love it! Just posted a fun birthday countdown calendar on my blog yesterday, they would be so fun together! You totally read my mind, how did you know my son has his 1st birthday party on Saturday and I neglected to get him a special hat, plus I have a bunch of leftover felt that I didn't have a project for yet! Thank you so much!! That birthday crown is too cute! We made the mardi gras masks and king cake from your earlier posts and had so much fun! Thanks. I've been giving dress-up clothes for birthday presents lately and these crowns will be a great addition! Thanks for sharing! Very cute idea - love it. I love this idea! I'm going to make them for my nursery kids! This is so cute! Thanks for the great idea; my niece's birthday is next month! Thank you, Thank you! My daughter is turning 5 and I wanted to give her something special and handmade for her to celebrate with! Love your site and all of the great ideas and tutorials you put up for kids! 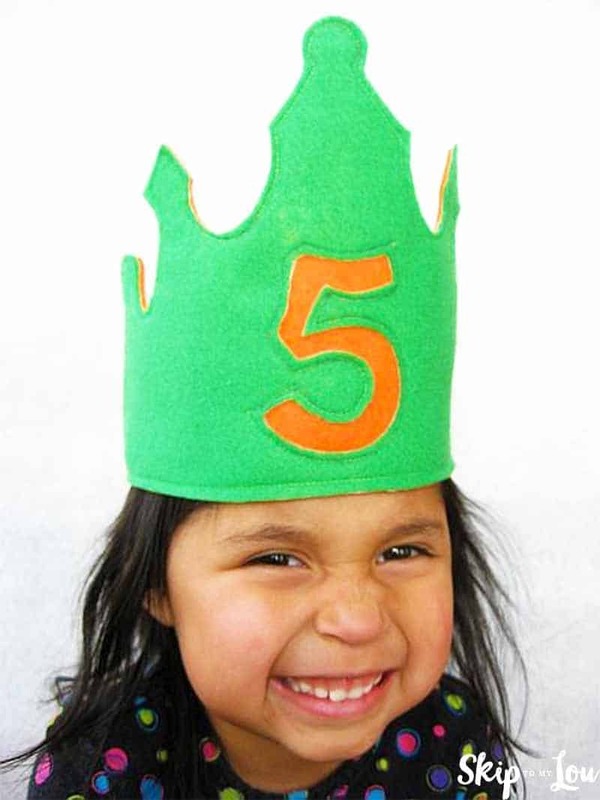 I'm making a felt crown, right now! I started it last night, it's based on Amanda Soule's crown in The Creative Family. shut up! that's the cutest and easiest crown i've seen and i have a princess turning 4 in a few weeks that i'm totally making one for! awesome! perfect i have a child with a birthday at the end of this week! thank you!